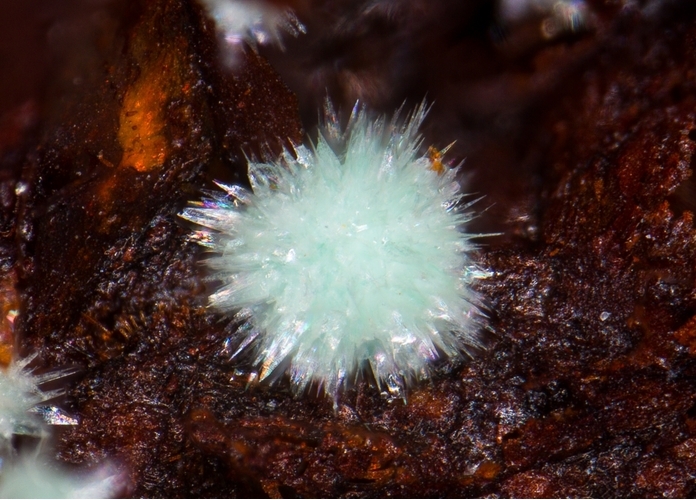 Strashimirite: Mineral information, data and localities. Named after Strashimir Dimitrov, Bulgarian petrographer. An uncommon secondary Cu-arsenate. Fibrous varieties and crusts of parnauite can appear visually similar. The crystal structure has been solved very recently (2015), leading to a revision of the formula, space group and unit cell (Kolitsch & Giester, to be published). Clinoclase 27 photos of Strashimirite associated with Clinoclase on mindat.org. Cornwallite 18 photos of Strashimirite associated with Cornwallite on mindat.org. Azurite 17 photos of Strashimirite associated with Azurite on mindat.org. Olivenite 14 photos of Strashimirite associated with Olivenite on mindat.org. Parnauite 10 photos of Strashimirite associated with Parnauite on mindat.org. Claraite 8 photos of Strashimirite associated with Claraite on mindat.org. Tyrolite 5 photos of Strashimirite associated with Tyrolite on mindat.org. Cornubite 5 photos of Strashimirite associated with Cornubite on mindat.org. Theisite 4 photos of Strashimirite associated with Theisite on mindat.org. Liroconite 4 photos of Strashimirite associated with Liroconite on mindat.org. Mincheva-Stefanova, I. (1968): Strashimirite, a new hydrous copper arsenate. Zapiski Vserossiyskogo Mineralogicheskogo Obshchestva: 97: 470-477 (in Russian). American Mineralogist (1969): 54: 1221 (abstract). Stoilova, D. & Minceva-Stefanova, J. (2001): Infrared spectroscopic study of strashimirite Cu8(AsO4)4(OH)4.5H2O. Dokladi na Bulgarskata Akademiya na Naukite 54, 49-52. 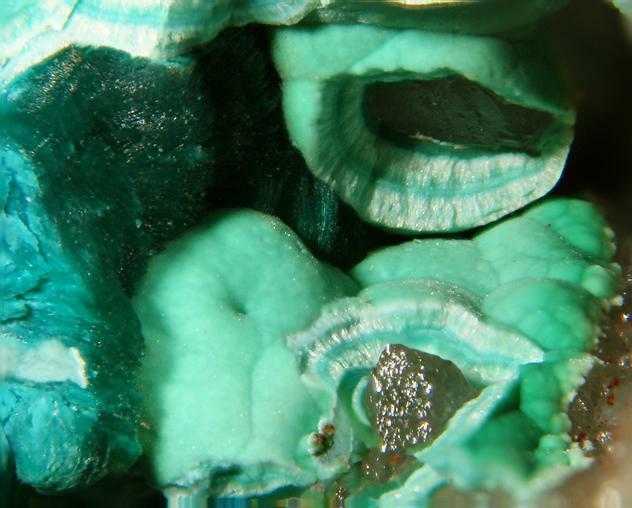 Sejkora, J., Škácha, P., Dvořák, Z. and Muzikant, P. (2015): Slavkovite from Preisselberg, the Krupka ore district (Czech Republic) and its mineral association. Bull. mineralog.-petrolog. Odd. Nár. Muz. (Praha) 23, 1-18 (in Czech with English abstract). Gröbner, J. (2007): Neufunde von der Eichhalde bei Biberach im Kinzigtal. Erzgräber 21, 21-26. Möckel, S. (2000): Strashimirit und 11 weitere Neubestimmungen aus Lavrion (GR). Lapis 25 (7-8), 74; GRÖBNER, J. & KOLITSCH, U. (2002): Neufunde von Laurion aus den Jahren 2001 und 2002. Aufschluss 53 (5-6), 363-371. Guastoni, A., Pezzotta, F., Vignola, P. (2006): Characterization and genetic inferences of arsenates, sulfates and vanadates of Fe, Cu, Pb, Zn from Mount Cervandone (Western Alps, Italy). Periodico di Mineralogia, 76, 141-150.; Guastoni, A. (2009): Monte Cervandone. Recenti novità mineralogiche. Rivista Mineralogica Italiana 2009 (1), 38-48. Koděra, M., a kol. 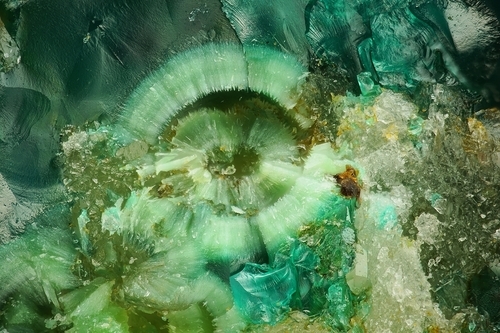 : Topografická mineralogie Slovenska. Sv. 2 Ko-Seč, Bratislava, Veda 1990, s. 731-738.